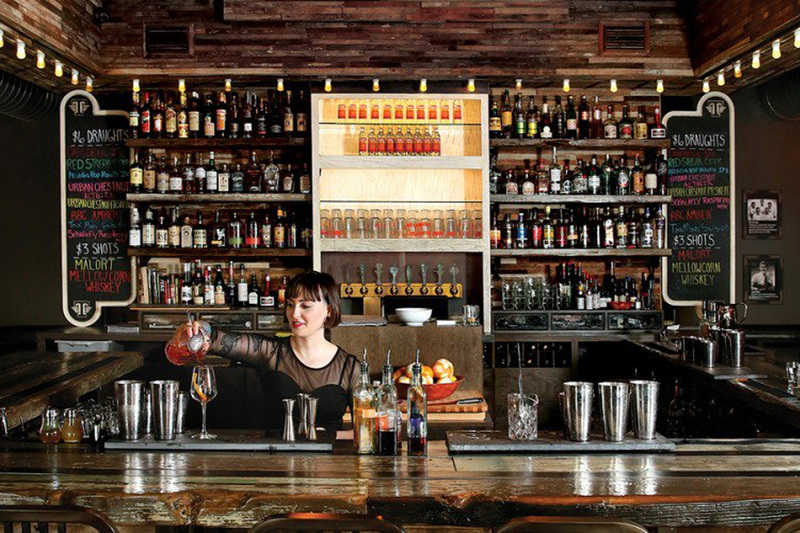 When Josh Gonzales decided to open a bar in the trendy Fountain Square neighborhood of downtown Indianapolis, he came to INNOVATIVE to develop the brand identity. 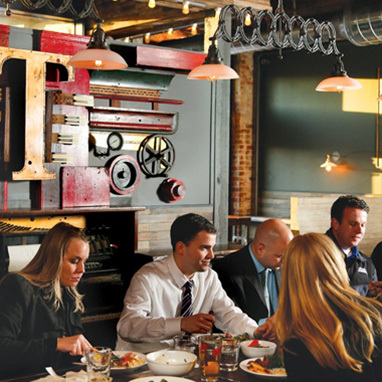 With the help of the interior design team, INNOVATIVE worked with Josh and his business partners to bring their vision to life in the form of a brand, menu design and other collateral pieces. 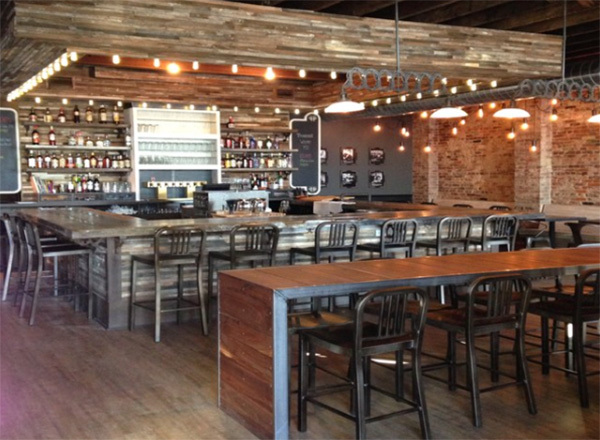 The name was chosen after the location for the bar was purchased. 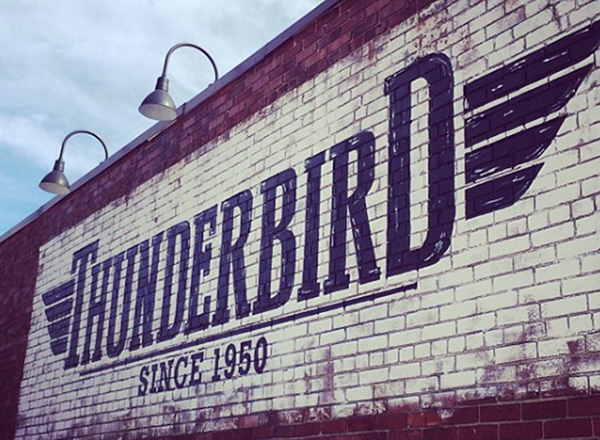 The building on Shelby Street has been home to many things, but in the 1950s it was a biker bar called Thunderbird. 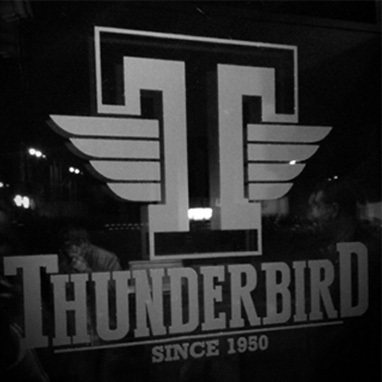 Josh knew he wanted the bar named Thunderbird to pay homage to the building’s history. INNOVATIVE listened to the vision for the bar before developing the logo and overall marketing look that would compose the brand. The goal was to create a memorable mark and identity that would have strong street appeal partnered with simple collateral pieces and menu. 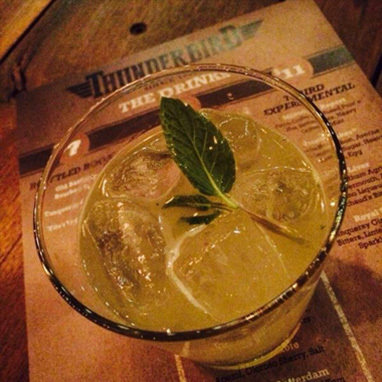 The brand development process for Thunderbird went so smoothly that Josh came back to INNOVATIVE when he needed to develop a presentation for the global cocktail competition, World Class.